Early on, I’d say about 10 years old or so, my interest in cooking started. I’d hang out in the kitchen observing others prepare meals, helping with small tasks and enjoy watching how separate ingredients would be magically transformed into delicious dishes that people oohed and aahed over. The creative outlet and the chance to make family happy (and friends, later) were the hook for me. It’s been a lifelong passion ever since. 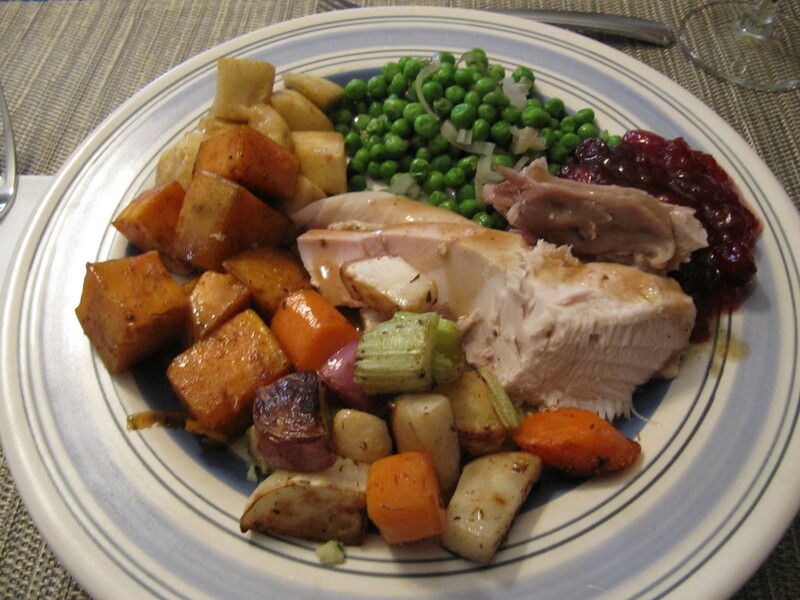 Preheat the oven to 325F and get your roasting pan and meat thermometer ready. 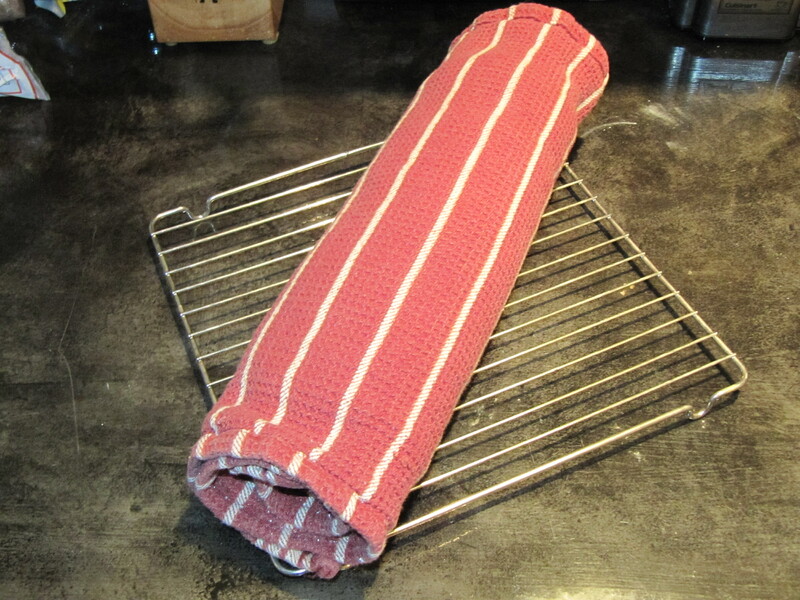 Make sure you adjust your oven racks too and your sink is empty and clean and so are your hands. Take the turkey out of the fridge, remove the wrapper and rinse out the turkey in the sink, remove the neck and giblets from the cavity, pat dry and place it in the roasting pan. (Warning: This is probably the least graceful prep exercise of anything you’ll ever cook, so best to do it with as few witnesses as possible. 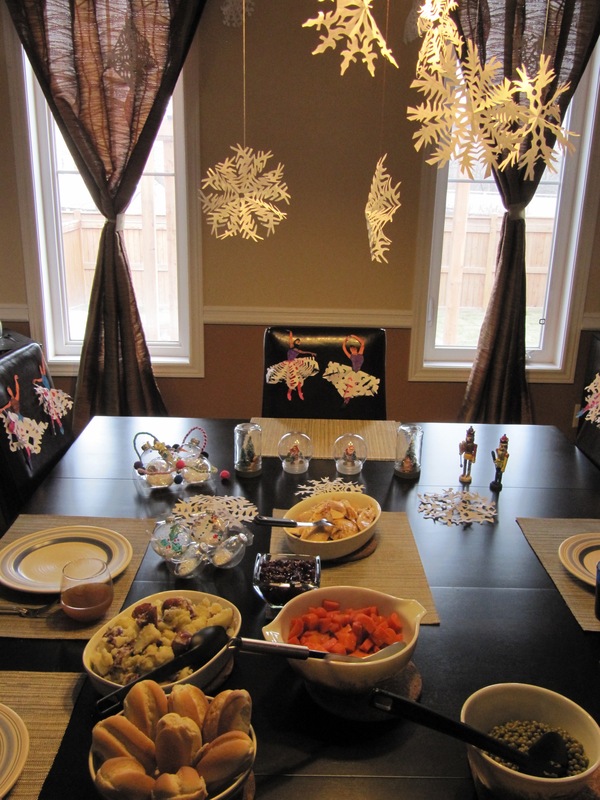 I usually get up at 6am to do it since we have a holiday lunch instead of a dinner. The only witness was usually the cat but even he looked at me with disdain during this part). Cooking times vary depending on size and whether the bird is stuffed or not. I usually get a 16-20 lb turkey and at 325F it usually cooks for about 4 hours. 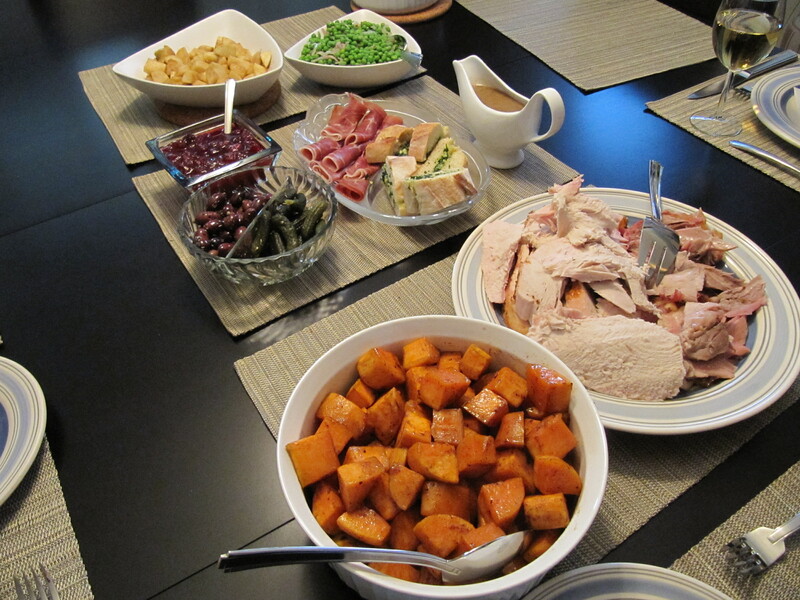 I rely on the meat thermometer to gauge when to start the side dishes which usually take about 2 hours start to finish, some started the day before to keep the oven free for turkey morning. See Butterball’s handy turkey calculator here which includes how much turkey to buy, how long to defrost it and how long to cook it. Once there’s about an hour left, I remove the foil and baste if I’m so inclined. Since I usually carve in the kitchen and place turkey slices on a platter for the table (also make sure it’s all cooked through – no one wants a raw poultry surprise), there’s no pressure of the perfect looking bird. You can do so if you like. That’s it! It’s the easiest thing to roast in my opinion and the most bang for your buck for the little effort that goes into it. The recipe above always results in a juicy and delicious turkey (if I do say so myself) and a house that smells amazing. 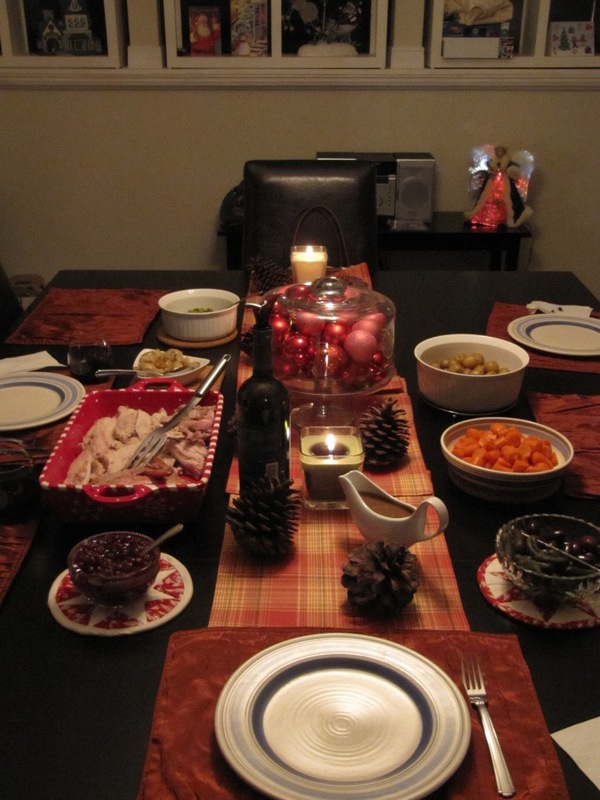 The side dishes complement the turkey but the bird is the star of the show! My mom used to return the turkey slices/pieces to the pan and let them simmer in their juices while she finished the side dishes. I never found the patience to do that – once it’s ready I want to eat it now!! Place the nuts and garlic in the food processor and process for 20-30 seconds until everything has been chopped up. Add the basil, salt and pepper and process for another 30 seconds. Stream the olive oil through the tube while the food processor is running. Let it run until it’s at the consistency you like – I let mine go for about 1 minute and it came out thick and creamy (not runny). Scrape the sides, then add the cheese and let it run for another 30 seconds. It’s been a while since I cooked something out of Ina’s cookbooks. 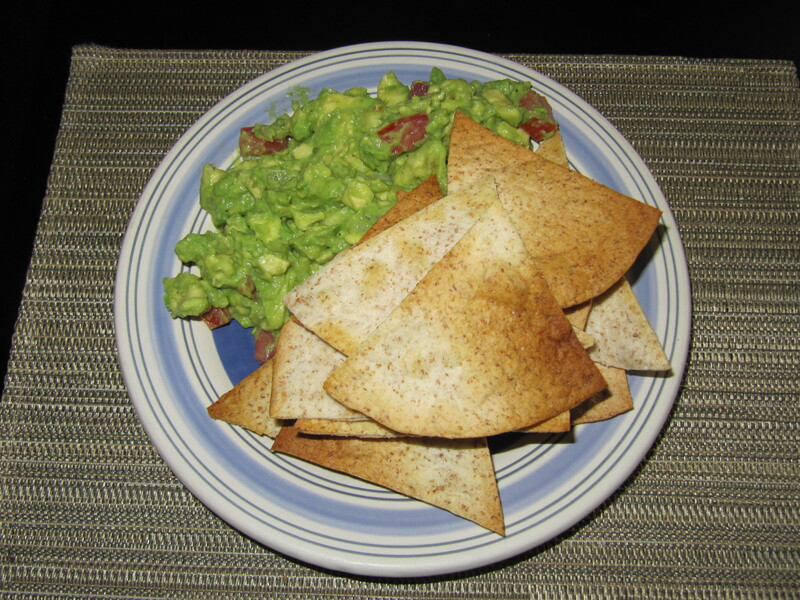 For lunch today, I made guacamole and baked some whole wheat tortilla chips to go with. 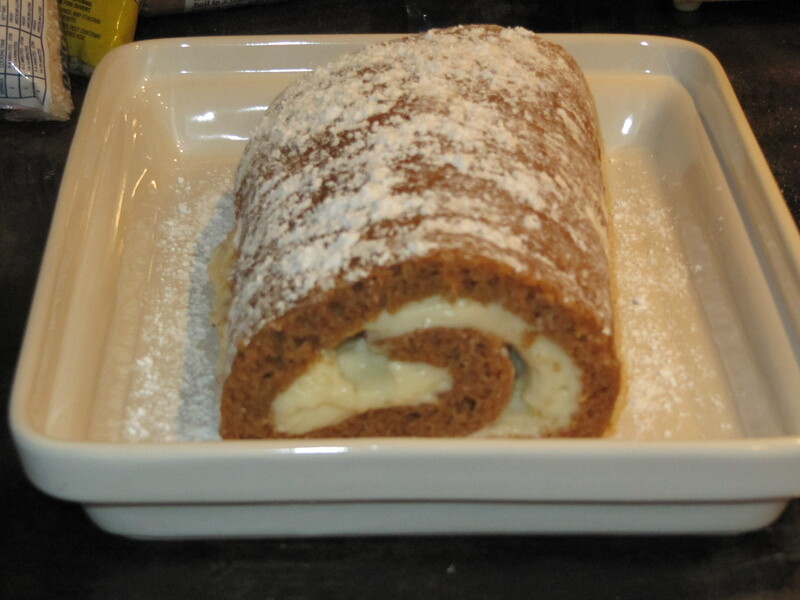 This is from the Barefoot Contessa Cookbook and the recipe is found here. For the tortilla chips, I bought a pack of 10 whole wheat tortillas, brushed them with vegetables oil, cut them into wedges and baked at 400 for 10 minutes. I’m sure you’ve all been there. I bought a butternut squash a little over 2 weeks ago. It has since been sitting on the counter, taunting me. Every time I walked through the kitchen, there it was. I’d see it out of the corner of my eye and have been agonizing over what to do with it. I’ve been wanting to start creating my own recipes instead of using cookbooks and my first challenge was butternut squash. I’ve made it in various ways before but wanted to make something out of my own imagination this time. Preheat oven to 425 degrees. Place chopped vegetables on a sheet pan (I used two pans to make sure all the veggies were in one layer). Drizzle vegetables with a good amount of olive oil. Sprinkle with salt and pepper. Toss vegetables to coat evenly. Roast for about 20-25 minutes until very tender, tossing occasionally. Meanwhile, heat 2 cups chicken stock in a large pot, bring to a simmer. When the vegetables are done, transfer to a food processor along with 1/2 cup to 1 cup of chicken stock. Process until it makes a thick puree. 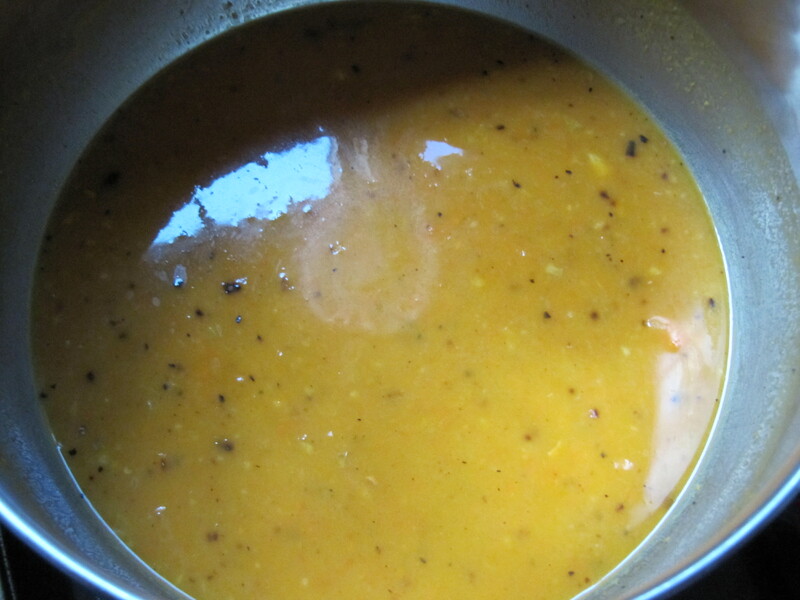 Add puree to chicken stock in pot, stir until well-blended and heated through. I served it with a couple of lightly-toasted baguette slices (placed them directly onto the oven rack while the oven was off but still hot – for about 7-8 minutes). Don’t you just love it when recipes turn out amazingly well… Ah bliss. 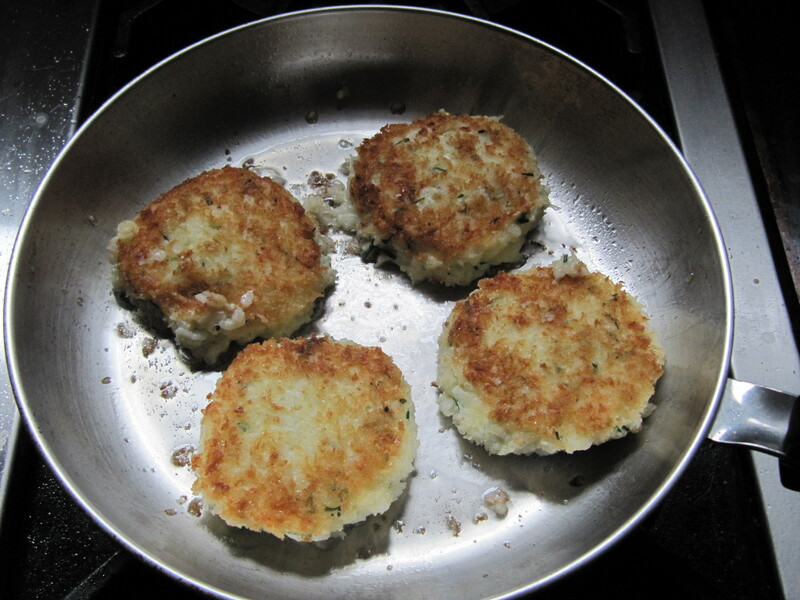 First up were Chive Risotto Cakes. This is what they looked like when they were first added to the pan. I prepared the mixture earlier in the day and let it sit in the fridge for a few hours. The mixture is made up of arborio rice (cooked), with minced chives, shredded Fontina cheese, egg, Greek yogurt, salt/pepper. 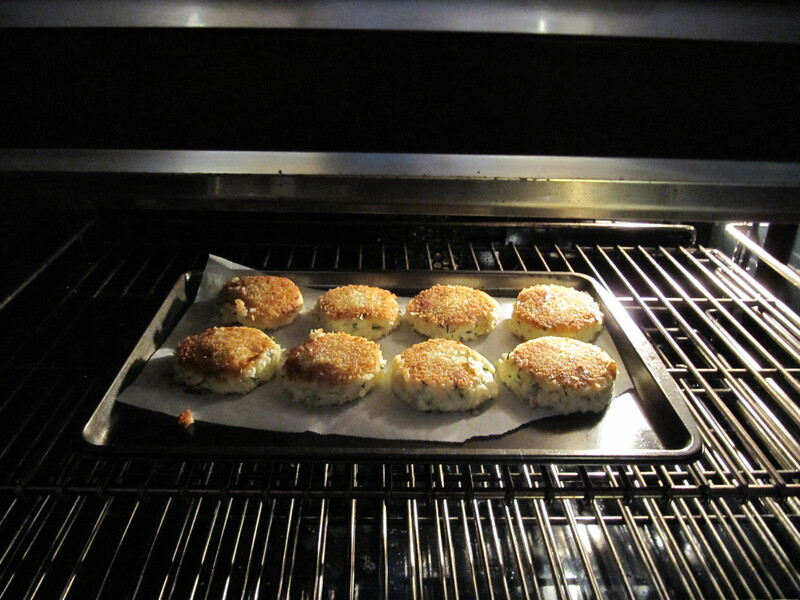 When ready for cooking, made small patties and coated them in panko crumbs and fried them up. Mmmm crispy crust. Surprisingly, we had never had Fontina cheese before (or that we could recall). It’s got a bit of tang to it which really came out. The best way to describe the taste/consistency was almost like a hash brown but with an added richness and zing from the chives. Very good. 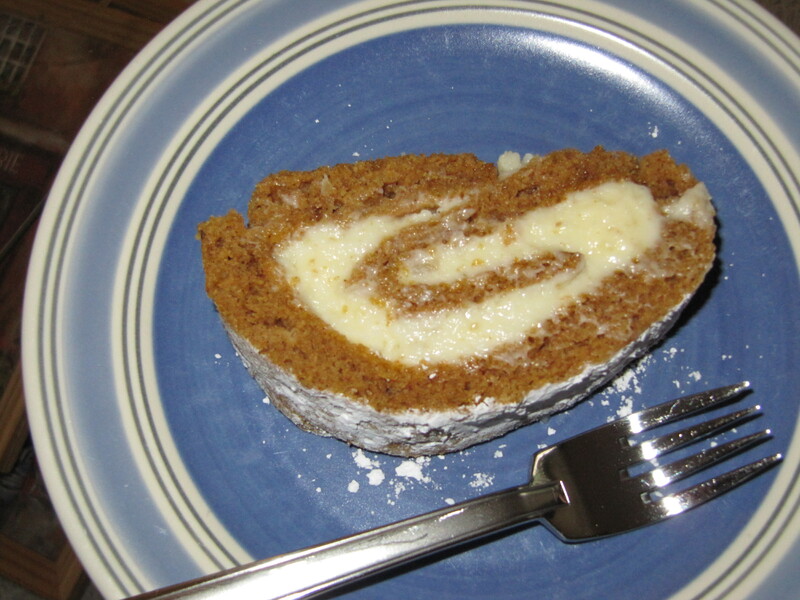 Dessert was a Pumpkin Roulade with Ginger Buttercream. It’s like a Thanksgiving Yule Log – the flavours were very “Fall” which fit perfectly with the weather we’ve been having lately. While I waited for it to cool (completely), I made the filling. Mascarpone cheese, icing sugar, bit of cream, minced crystallized ginger. Awesome. The cake was very moist and tasted like pumpkin and holiday spices. The filling was smooth and had just enough richness and the zing of the ginger was fabulous. It would be perfect with coffee. 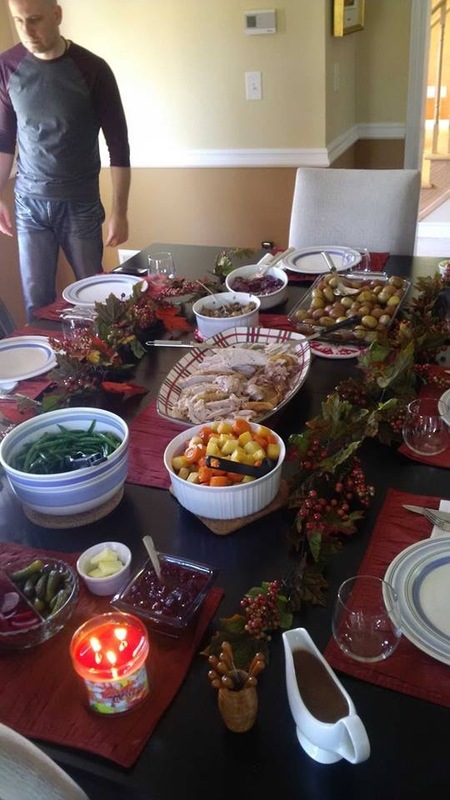 My husband and I really liked both dishes. 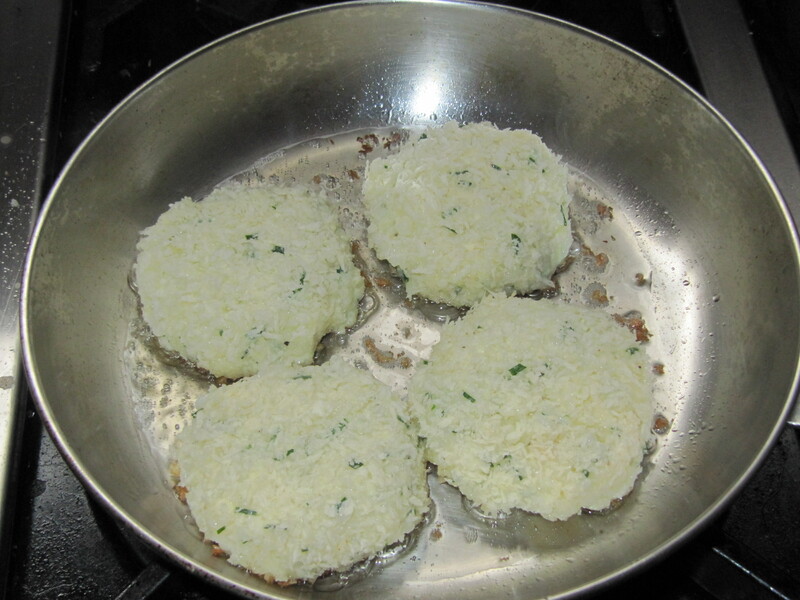 The chive risotto cakes could be served as an appetizer (one per person), or served as a side dish or main – very versatile. Have you ever had one of those mornings where there’s nothing remotely resembling breakfast food in the house and you start getting creative? I’m forced to do this occasionally, usually as a result of laziness and grocery-shopping procrastination…when all that’s left are condiments and canned goods. So, I turn to the old standards: pantry and baking stuff. I Google “coffee cake”. I have flour, milk, butter, a couple of eggs, the usual baking stuff. My search results all include fruits or sour cream or some other ingredient that I don’t have on hand. Hmm. Next, I Google “cinnamon coffee cake” thinking if the main ingredient is cinnamon, I stand a chance. And I find this gem of a recipe. Ok, so maybe I said it out loud. Topping. In small mixing bowl, combine topping ingredients. Blend with fork until crumbly. Set aside.Sift 1 1/2 cups sifted flour with baking powder and salt into a bowl. In a medium bowl, beat together beaten egg and 3/4 cup sugar and 1/3 cup melted butter. Add milk and vanilla. Stir in flour mixture and mix well. 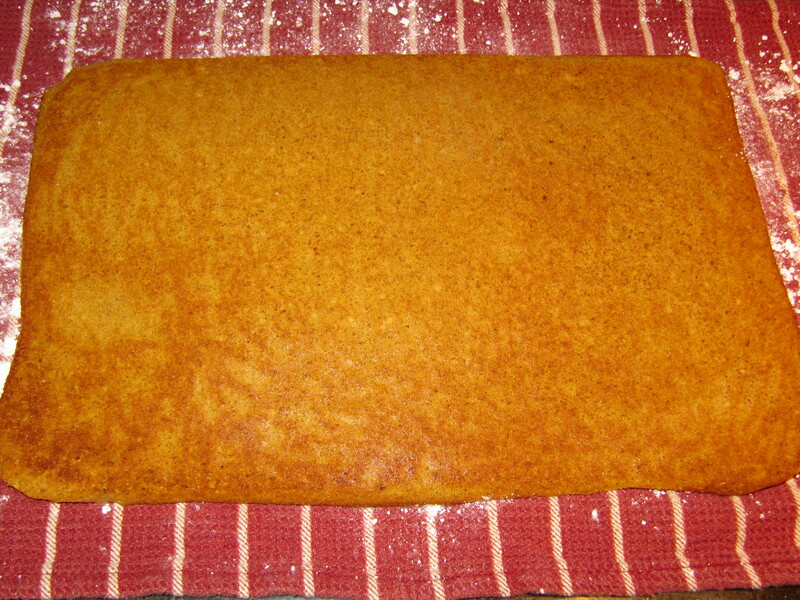 Pour batter into a greased and floured 8-inch square or 9-inch layer-cake pan. Sprinkle topping crumb mixture evenly over batter. Bake at 375° for 25 to 30 minutes, or until cake tests done. Partially cool in pan on wire rack. Cut coffee cake into squares while still warm. For supper tonight, I tackled 3 recipes so my total is now at 54 of 90! The main course was the French bistro steaks with Provençal butter. Mmm. I took the pic before the butter melted. 🙂 The steaks were seasoned with herbes de provence, salt and pepper to create a light crust, then grilled. The butter is what turned the steak from yummy to AWESOME. It was made with butter, minced garlic, capers, chives, thyme, pepper and lemon zest. The recipe called for anchovies but I omitted that. It tasted wonderful regardless. 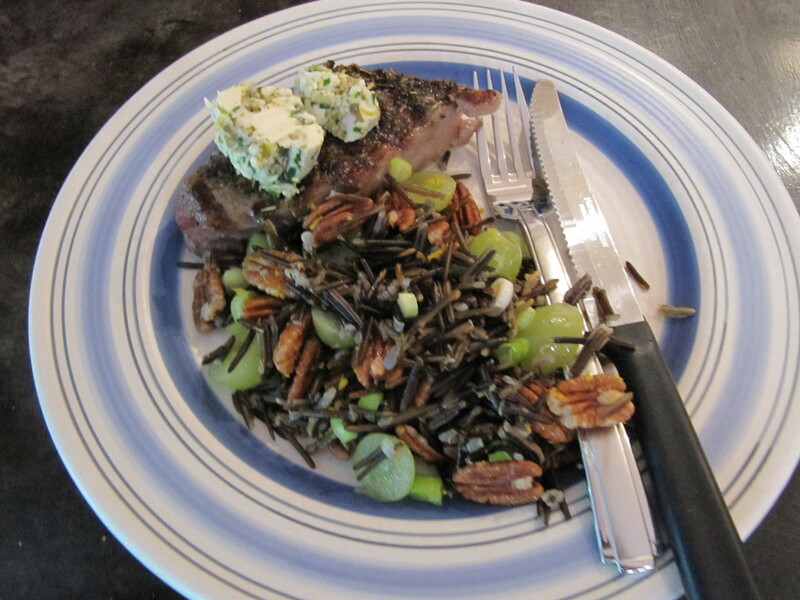 The second recipe was the side dish: Orange pecan wild rice. I had never made wild rice as the main ingredient in anything before and the flavours in this recipe were very interesting and quite tasty: wild rice cooked in water, chicken stock, butter and salt. Once cooked, I mixed in the roasted pecan halves, green seedless grape halves, orange zest, orange juice, butter and sliced scallions. MmmMmm. Paired with Robert Mondavi Cabernet Sauvignon. The third recipe was dessert: Fruit salad with limoncello. 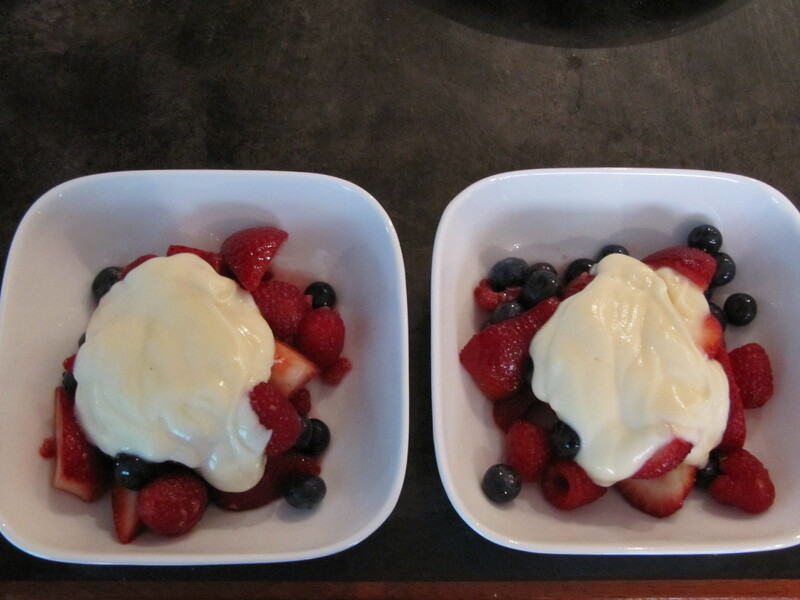 It’s listed under the breakfast section in the cookbook but we love fruit for dessert so it was perfect. The fruit which included raspberries, blueberries, strawberries (we omitted the bananas or the portions would be too large) were mixed in a bowl with sugar and the limoncello (lemon liqueur). Then the sauce was greek yogurt (Balkan style) with lemon curd, honey and vanilla. Just fantastic – the sweet fruit balanced the tart lemon flavour – sooo good. The lemon yogurt could easily be served with numerous other things and it’s so easy to make.